The arctic fox (Vulpes lagopus) is a small fox known for its luxurious fur and entertaining hunting antics. Photographs of the fox usually show it with a white winter coat, but the animal may be a different color depending on genetics and season. Size: 20 inches (female); 22 inches (male), plus a 12 inch tail. The scientific name Vulpes lagopus translates to "fox hare-foot," which refers to the fact that the arctic fox's paw resembles a rabbit's foot. It is the only canid whose foot pads are completely insulated by fur. Arctic foxes are about the size of a house cat, averaging about 55 cm (male) to 52 cm (female) in height, with a 30 cm tail. The fox's weight depends on the season. In the summer, a fox puts on fat to help it survive the winter, essentially doubling its weight. Males range from 3.2 to 9.4 kg, while females weigh from 1.4 to 3.2 kg. The arctic fox has a low surface area to volume ratio to protect it from the cold. It has a short muzzle and legs, compact body, and short, thick ears. When the temperature is warm, an arctic fox radiates heat through its nose. There are two arctic fox color morphs. The blue fox is a morph that appears dark blue, brown, or gray year-round. Blue foxes live is coastal regions where their fur serves as camouflage against the rocks. The white morph has a brown coat with gray abdomen in the summer and white coat in the winter. The color change helps the fox blend in with its surroundings to avoid predators. Like its name implies, the arctic fox lives in the tundra of the Arctic region of the Northern Hemisphere. It is found in Canada, Alaska, Russia, Greenland, and (rarely) Scandinavia. The arctic fox is the only native land mammal found in Iceland. Life on the tundra isn't easy, but the arctic fox is well adapted to its environment. One of the most interesting adaptations is the fox's hunting behavior. The fox uses its front-facing ears to triangulate prey location under the snow. When it hears a meal, the fox leaps into the air and pounces into the snow to reach its prize. An arctic fox can hear a lemming under 46 to 77 cm of snow and a seal lair beneath 150 cm of snow. Foxes also use their keen sense of smell to track prey. 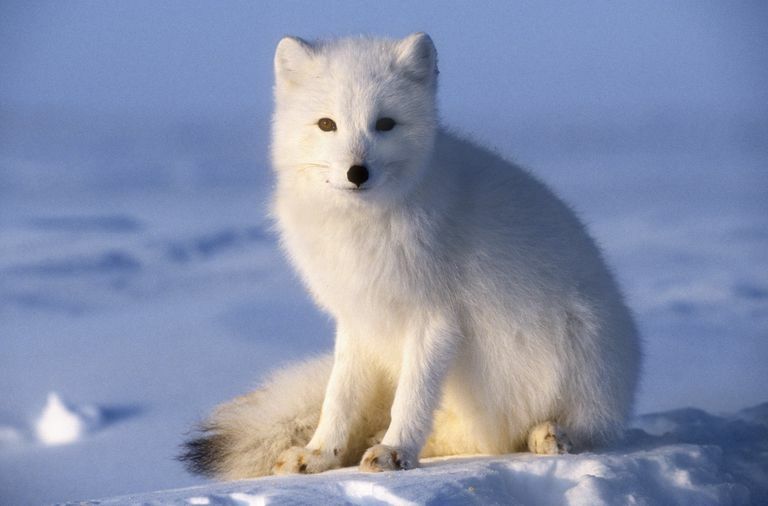 The fox can track a polar bear to scavenge its kill or smell a carcass from 10 to 40 km away. The fox's coat color helps it avoid predators, but the coat's main adaptation is its high insulation value. The thick fur helps the fox stay warm even when the temperature drops well below freezing. The fox doesn't hibernate, so the coat makes it possible to conserve heat and hunt in the winter. However, recent research indicates the fox quickly burns its stored fat when the temperature drops well below freezing. Foxes live in burrows, preferring warrens with multiple entrances/exits to aid in escaping predators. Some foxes migrate and will tunnel in snow to make a shelter. Arctic foxes are mostly monogamous, with both parents caring for offspring. However, social structure depends on predator and prey abundance. Sometimes the foxes will form packs and be promiscuous to increase pup survival and guard against threats. Although red foxes prey upon arctic foxes, the two species are genetically compatible and have been known to interbreed on rare occasions. Foxes breed in April or May with a gestation period of approximately 52 days. Blue foxes, which live on the coast and enjoy a consistent food supply, typically have 5 pups each year. White arctic foxes may not reproduce when food is scarce, yet can have as many as 25 pups in a litter when prey is abundant. This is the largest litter size in order Carnivora. Both parents help care for the pups or kits. The kits emerge from the den when they are 3 to 4 weeks old and are weaned at 9 weeks old. When resources are abundant, older offspring may remain within their parents' territory to help guard it and aid kit survival. Arctic foxes only live three to four years in the wild. Foxes with dens near a food supply tend to live longer than animals that migrate to follow larger predators. The arctic fox is an omnivorous predator. It preys on lemmings and other rodents, seal pups, fish, birds, eggs, insects, and other invertebrates. It also eats berries, seaweed, and carrion, sometimes tracking polar bears to eat the remains of their kill. Arctic foxes bury excess food in a cache to store for winter and rearing kits. Arctic foxes are preyed upon by red foxes, eagles, wolves, wolverines, and bears. The IUCN categorizes the conservation status of the arctic fox as of "least concern." The global population of arctic foxes is estimated to be in the hundreds of thousands. However, the species is acutely endangered in northern Europe, with fewer than 200 adults remaining in Norway, Sweden, and Finland combined. 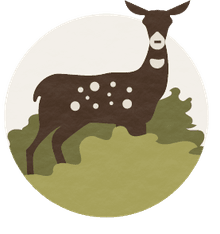 Even though hunting has been prohibited for decades, the animals are poached for their valuable fur. The population on Medny Island, Russia is also endangered. The arctic fox faces severe challenges from hunting and climate change. Warmer temperatures have made the fox's white winter coloration readily visible to predators. The red fox, in particular, threatens the arctic fox. In some areas, the red fox has become dominant as its predator, the grey wolf, has been hunted to near extinction. Disease and scarcity of prey affect arctic fox populations in some parts of its range. Can You Have a Pet Arctic Fox? Foxes, like dogs, belong to the family Canidae. However, they are not domesticated and do not make ideal pets. They mark territory by spraying and need to be able to dig. While there are examples of foxes kept as pets (particularly within their natural range in the Arctic), the red fox is more popular because it's better adapted to co-exist at a temperature comfortable for humans. Keeping a fox is illegal in some regions. The arctic fox is a "prohibited new organism" according to New Zealand's Hazardous Substances and New Organisms Act 1996. While you may be able to befriend an arctic fox if you live in the Arctic, the creatures are unwelcome in the Southern Hemisphere because they would upset the ecology. Garrott, R. A. and L. E. Eberhardt. "Arctic fox". In Novak, M.; et al. Wild furbearer management and conservation in North America. pp. 395–406, 1987. ISBN 0774393653.